After having carefully planned my working week to coincide with a visit to the North West to make it easier to travel to Wales, I set off from Liverpool on Thursday morning bound for Pistyll near Caernarfon to begin the third phase of the walk around the coast of Wales. At this pace, I suspect I will have completed the walk some time in my late 80s. Probably on a mobility shopper. 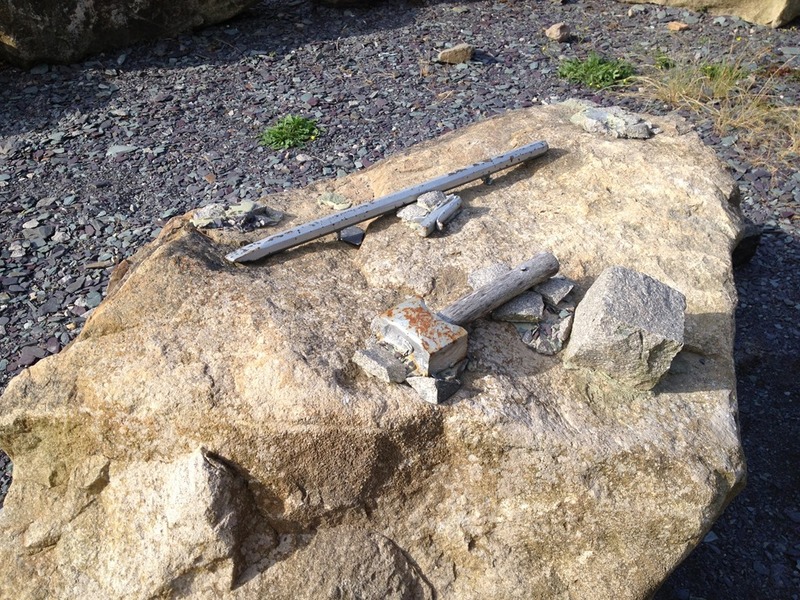 Regular readers will recall that last year we ended our walk at Porth Towyn having set off from Porth Oer. Because we were starting further up the coast, it made sense to change our usual campsite to a new….untested one. This year’s campsite was at the amusingly named Penisarlon Camping Farm near Pistyll. 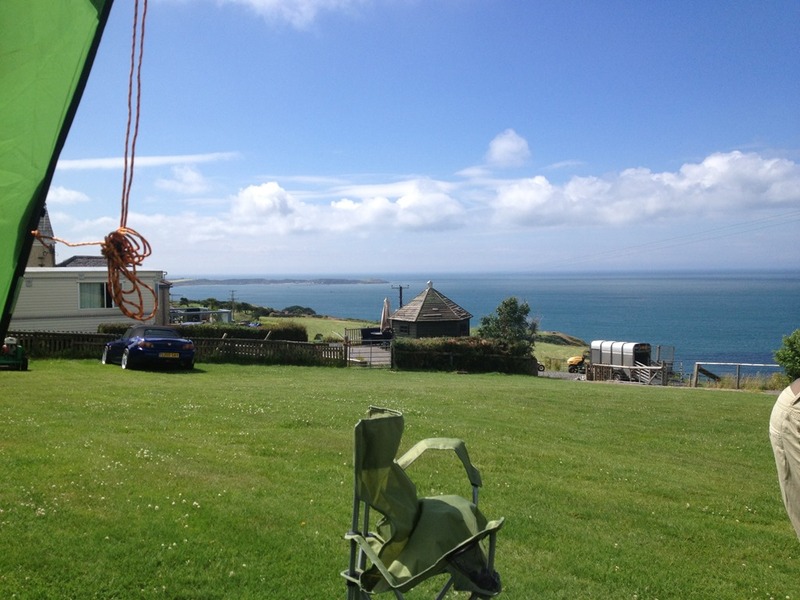 The camp site was very clean and peaceful with fantastic views across towards Nefyn (our goal for the Friday) to the South west and towards Nant Gwrtheyrn to the North East with St George’s Channel to the north. However as we had arrived earlier than expected we decided that, though too late to start our walk properly, we could start a bit of next year’s planned walk. This took us towards Nant Gwrtheyrn, though we did not reach there until later in the weekend. Instead we were treated to a lovely bog blocking our path, sheep, second homes and a quaint little church, St Buenos. 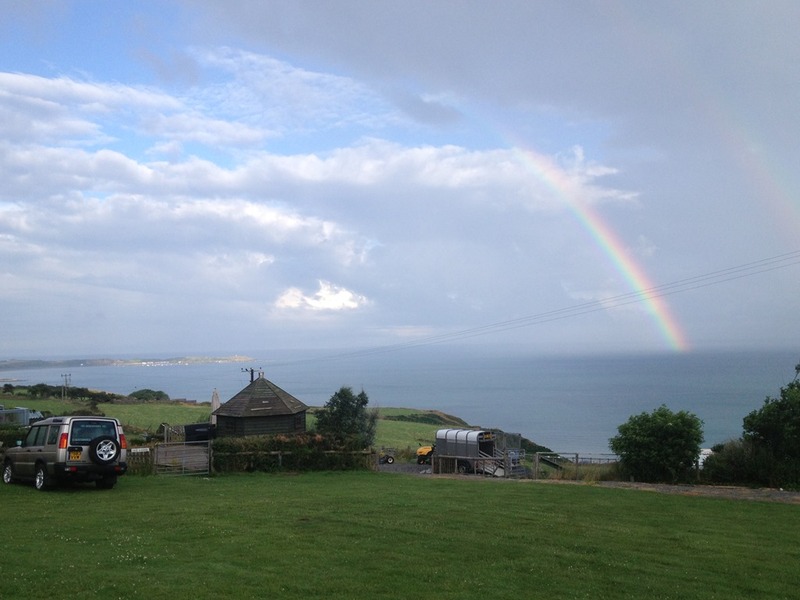 On the Friday, we awoke to a lovely rainbow across the bay. Little or no rain during the night but plenty of snoring from me. Up above the sea and houses Rainbow flying high! This year we began where we left off and made our way across the once more sunny cliffs and dips leading towards Porth Dinllaen. Glorious views. Glorious weather. 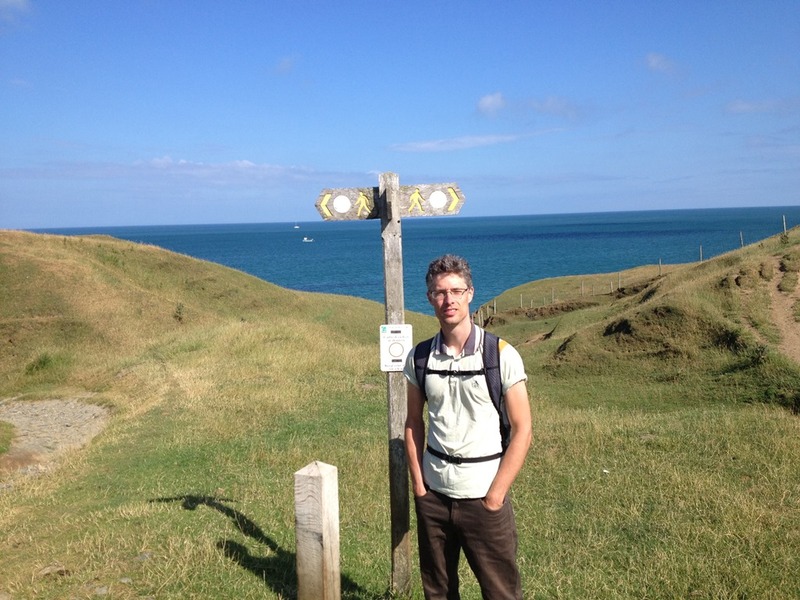 Four hours of walking later we crossed Nefyn Golf course and reached Porth Dinllaen. During the previous night we had espied a strange structure out in the bay. It looked like a drilling platform and part of me was concerned that the greedy oil people had set their eyes on a protected area of outstanding natural beauty. Fortunately, this was not the case. 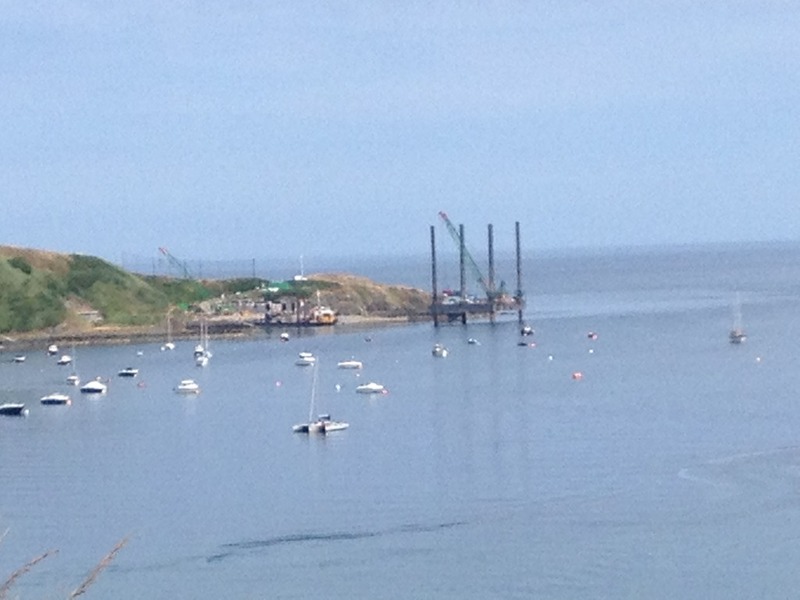 The platform was actually for the construction of a new RNLI Lifeboat launch slipway. So it wasn’t too bad. 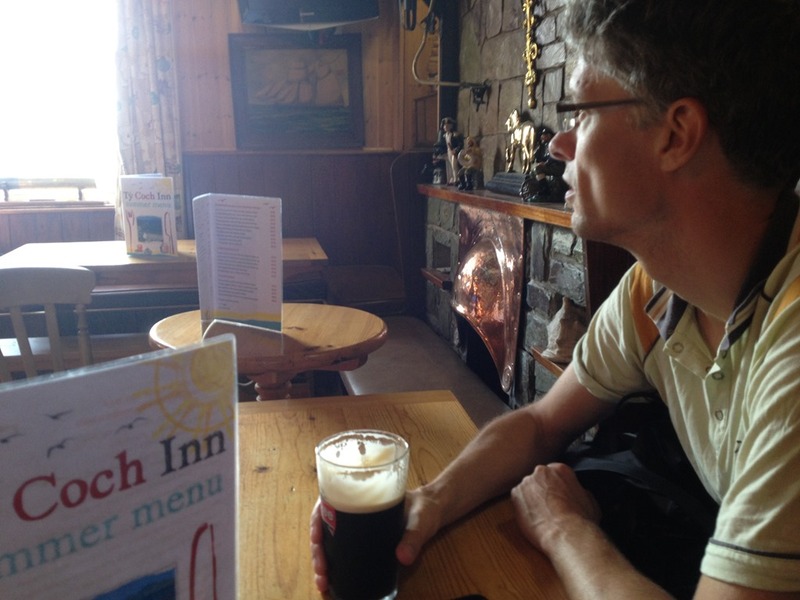 The construction site had an interesting staircase winding its way down the cliff side allowing access to the official coastal path bringing us out at the lovely Ty Coch Inn where we ended our second day’s walk with a delicious and rewarding pint before heading back to the campsite. After a rather sleepless night for Nick (my snoring again!) who ended up sleeping in his car, it was agreed that completing the short trail up to the campsite would be sufficient for this years walk. Before that we needed sustenance in the form of a hearty breakfast. 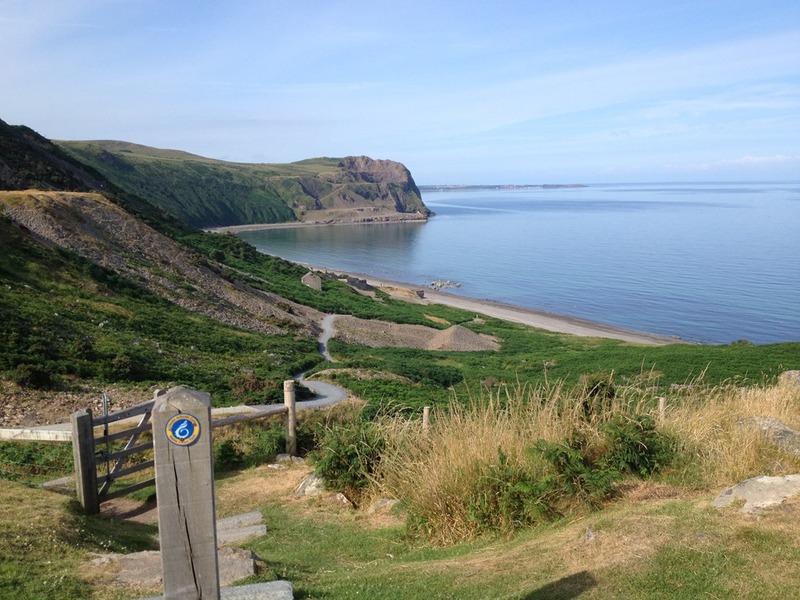 On the inbound trip, I espied a brown sign directing the visitor to a place called Nant Gwrtheyrn which had a cafe. 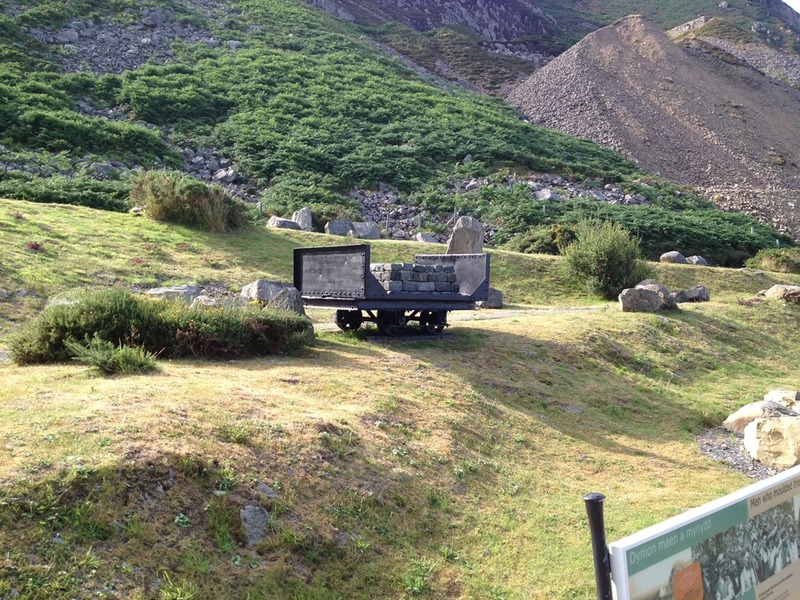 Nant Gwrtheyrn is an old village built for quarry workers in the 1800s. If you were to follow the link above you will be able to read the history. The landscape there is a bizarre mix of post industrial archaeology and nature. 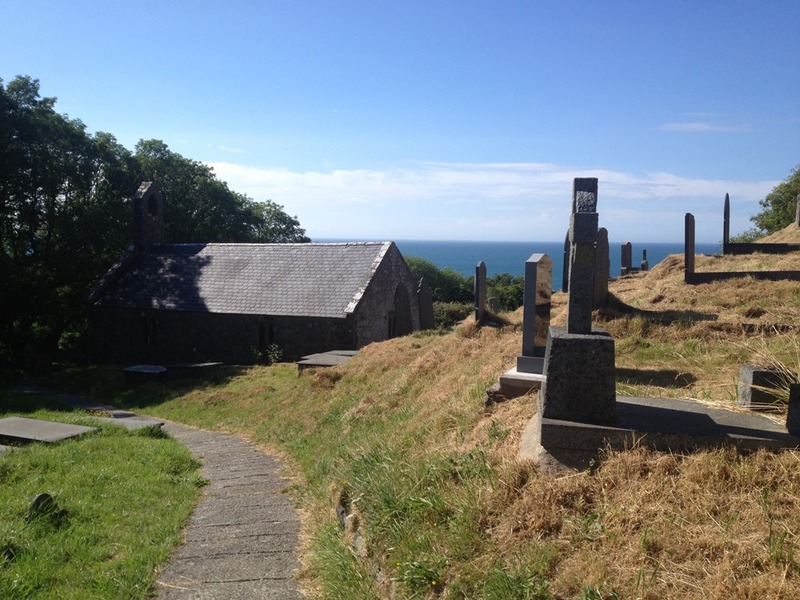 There’s a church there, a cafe and a collection of stone cottages available for rent by holiday makers. 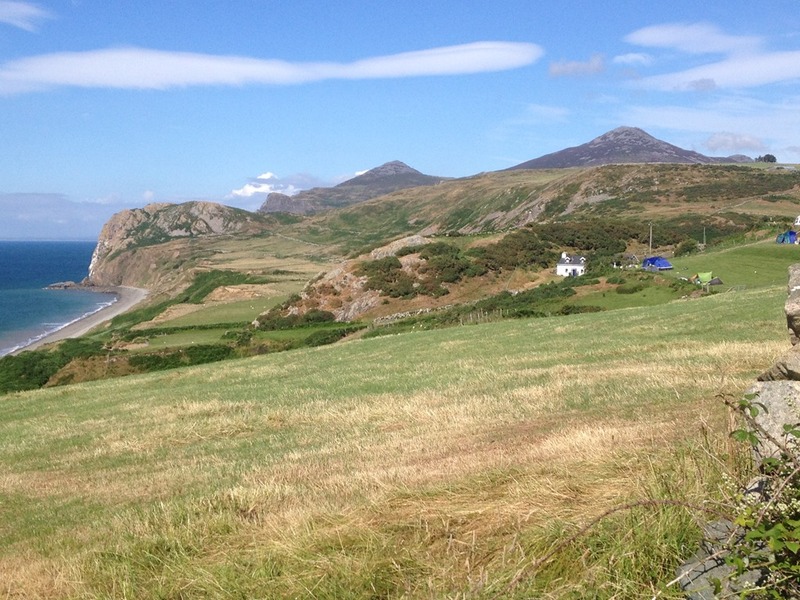 However, the cafe didn’t open for breakfast so we scuttled back to Nefyn and the continuation of our walk. The short trail continuation took us from where we left off the day before and along a winding cliff top pathway. Again, plenty of luxury cliff top homes for the wealthy and privileged. Glorious views. It’s places like this that make you realise that no matter how hard the average Jo works, they will never attain a picturesque view (like that in the panoramic picture below) without luck, windfall or skulduggery. The path turned in land and took us through the village where we had earlier eaten our hearty breakfast before heading up a very steep looking hill. Eventually the path turned into something resembling Borneo. Overgrown gorse bushes, brambles and scratchy things took their toll on our bare shins, bitey creepies made a meal on our blood, and burny heaty hot sun scorched our flesh from on high. Yet, after three hours of walking, we reached the campsite and the starting point for our continuing adventure next year.